The collected graphic series of Robotika continues to take off upon these alternate expansions of conventional frontier depictions—variously called anachronistic sci-fi, gun-fu or weird westerns—that recast and refigure respective cultural locations and set positions; alternately playing and poignantly reflecting upon the supposed inherent conventions mythically visualized of each culture. 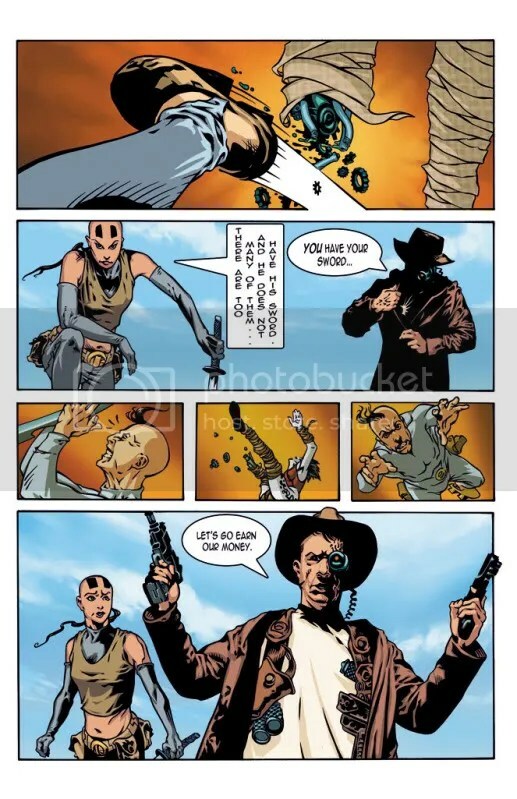 These remakes or retakes in comics may gleefully cut up these given characters in ripping reversals such as Geoffery Darrow’s Shaolin Cowboy (2004) or buck genres with a yuk such as Yu Yagami’s rollicks and romps in his manga series Go West! (English translation 2008).4 Such sidesplitting alterations upon Eastern and Western positions in outrageous or outlying frontier settings are what are commonly connected to the funny frames of a comic book, and these playful remarks upon known territories are frequently seen (often by superficial misreading) as simply flippant fun. Yet while these renderings may be made (or on swift readings) appear to merely successively entertain, the sequential graphic medium if attentively arranged and actively engaged has powerful potential to remarkably re-convey recurrent mythological motifs in a profound manner. Upon first inspection of the inside of this graphic novel (past the credits and summary commendation) Sheikman continues to consistently display a deft handling upon the visual relations that skillfully carries toward each ensuing panel or page. This illustrative involvement is constantly carried throughout the collective series and clearly conveys Sheikman’s attentive intent to render Robotika in a meticulous manner. The surrounding lines relating the story lettered by Sheikman similarly show forethought as to the changing fonts that are formed around the images in various descriptive sizes and shapes. There is a further keen energy that was felt by this reviewer emoting from Sheikman’s resolute handling of the combined graphic relations that transmit a certain lively enjoyment in the creator’s active engagement throughout. Outwardly then, Robotika expresses striking characters and settings that are admirably rendered within which raises the readers’ expectations for an involving delivery of sound dialogue and intricate direction to be further woven into an involved graphic story. What Robotika appears to deliver instead upon early inspection of its related textual narration is a rather strained refrain of pulpy lines that are in their stale dictum threatening to turn the story rather obviously to bad cheese. Familiar formulas are thus tryingly introduced and while a first reaction from this reviewer is to reject Robotika due to such staid lines being a dire presage of molded mythic prescriptions, it is chanced to proceed in further study. By suspending any snap judgments and continuing in comparative appraisal, this overt program laid by Sheikman at the opening stage of Robotika’s story may reveal a implicate ruse to be diddled or inwardly played upon by its creative manipulator. Sheikman, despite tripping a bit at the onset of Robotika with said trite future broadcast and a series of Frankenstein framed takes (pg.12 & 13), that cause further cringes from this reviewer, fortunately readily progresses in visual cues. There are sharp depictions of an advanced world in the foremost panels that portrays various, highly-advanced, biotechnological constructs (ecoorganic towers, cyborgs, drones, genetically enhanced insects) and systems (virtual reality helmets powered by scyphozoa or “jellies”, rotating vision mirrors), alongside anachronistic weapons (steel swords, cartridge pistols and revolvers) and one metal-plated tracked vehicle that seems to be steam powered (pg. 66). In the world of Robotika, advanced and basic components coexist (or are joined together), with the biotechnical and mechanistic shown as being adaptively interchanged or melded. The hero Niko is introduced in the first chapter in the process of receiving encoded data injected via the gelatinous virtual helmets and spinal receptors that conduct simulated martial combat or ‘samurai scenarios’ through a monitored setting (pg. 14-17). Pertinent questions arise around this series of virtual training such as, “Are the programs recorded from actual edicts downloaded from past precepts set in the Edo or Tokugawa period (1603-1868) or is it an adaptive or distorted Western encode?” 5 As Robotika has been previously criticized toward emplacing its main character in a world resembling an absurd video game where the hero has to hack his way to ascend to a higher level, this significant issue of Western simulation of Eastern customs should not be left unaddressed or too lightly readressed by Sheikman. At this critical point, Sheikman’s graphic relation is in its initial state of development where, although there is a visible awareness on the creator’s part of these virtual conditions affecting or surrounding the formation of his characters, remains largely openly implied as to its effective direction or wider meaning. Sheikman’s inductive presentation of the prevailing modes of biotechnological systems creating and controlling through pervasive artificial means is an intriguing concept consciously placed as an overarching theme that as this juncture is rendered somewhat indirect and unclear as to any clear course. This initial indirection in Robotika, then, could be perceived as a fumble of comic confusion, yet it appears to this reviewer that Sheikman’s mythic jumble, while still unformed as to a purposeful interplay or parodist exchange, is being actively juggled at this early stage. Sheikman surrounds his main character in silence (a recurrent trait) and has observers variously comment upon his rumored origins. Their surmises create a sense of mystery toward Niko; unfortunately, however, his birth is later revealed (pg. 95). However, as this is a virtually induced world there are possible connotations that arise in connection with any clear recall on the part of the main character and this visible flashback by Niko may be an implanted recording or false memory conducted from an outside source. While this may be a personal projection upon this formative scene, it is one probable distortion of a seminal comic device that it is wished Sheikman will redirect. The regular requirement of providing an origin story for a comic book character is a strong pull that many creators feel (usually from readers’ demands), yet it is one that can be readily demystifed, draining some of the imaginative spirit of the series away with it. Though Robotika is a mass of absorbed emblems, icons, and symbols, there is an ambulant flow that begins to suggest the myriad parts of the universal dream. Even the snatches of text inserted from Lewis Carroll’s renowned writings, somehow seem fittingly placed within Robotika’s sequential storehouse (pg.22). Around this ‘wonderland’, Sheikman draws a red queen, supposedly the imperial ruling ‘monarch’ that commands a quest for the central champion Niko of retrieving a generative biotechological (nano?) machine that can reproduce. This is one of the offspring referenced as part of the Frankenstein-like frames I had cringed about in my earlier reference, yet as some of these familiar figures often linger upon fantastic lines, there is a haunting poignancy to their recurring progeny within Robotika. vertical dialogue that begins to raise Robotika above most of the formulaic comic fare. (pg.30) While some see Sheikman’s arrangement of these speech patterns as unduly slicing and stopping the flow of the read dialogue within, it conveys to this reader a particular piercing point about miscommunication due to the complex process of retranslating a specific language that has its own symbolic codes. 7 A short insertion here upon Sheikman’s background in Russia seems relevant as his own experienced exchange with English shares some insight round his reason for imparting this suspect literary device 8 CG’s contentious character and difficult vocalizations certainly communicate one of the high points in Robotika’s first series, contributing a unique aspect that shows a more singular consideration from Sheikman than the standard comic cast. Upon the acquiring of this vital embryonic form, Niko (and effectively this reviewer) became disillusioned with the tawdry acceptance from the queen as she uses it as a pretty piercing ornament (pg. 52-53). In dejection, Niko appears to be enticed to abandon his position as the red queen’s man, deciding to travel with CG and another ’Yojimbo’ named Bronski (introduced in a smoking caterpillar scenario in CG’s shifting space, pg. 57-58), a wayward outlaw known for his enhanced eye and his two-gun draw (pg.83). Sheikman’s sequential treatment in Robotika willfully extends its aesthetic to encompass other cultural (and subcultural) styles. The comic’s use of biotechnology, virtual conditioning, and the implied usage of psychotropic drugs are all elements that have been connected to cyberpunk. It is at this point that the renitent readers (if they have willfully ventured this far) may decry, “Aha! Although lumped as ‘steampunk samurai’, and despite the slight puff of a possible steam vehicle and some ‘miniscule’ cogs, Robotika is obviously expanding upon Eastern themes that have been integrated in cyberpunk since its inception.” The considered response from this reviewer is perhaps this counter position is not far off the mark in recalling the prevailing elements, environments, and systems incorporated in Robotika. Then again it could be an intentional inclusion by Sheikman in remarking upon separate categorized mythic parts that are often interchangeably adapted or fused. The apparent weakness within Ronin is also relational to Robotika, for both relate ambitious experimental forays toward the comic medium. Miller, though intentionally altering the pacing in Ronin, often faltered along the plot lines and through the limited development of the characters within. Sheikman, in the first part of Robotika, while deftly and soundly rendering his own samurai amidst strange and sumptuous settings, similarly wavers in regards to the writing. 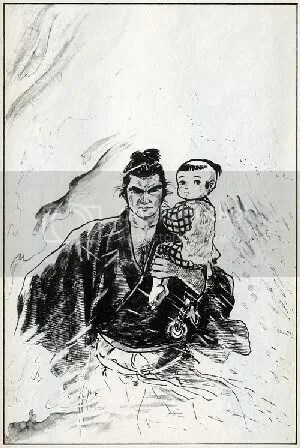 In Ronin, Miller was exploring Eastern techniques informed from writer Kazuo Koike’s and artist Goseki Kojimba’s epic manga series Lone Wolf and Cub (Kozure Ōkami, 1970), a technique that he had developed during his take on the Marvel comic character ‘Daredevil’ in the 1980’s. Detractors of Robotika who are unsure about its direct connection to steampunk are sure to take delight in not finding anything visual that hints heavy of steampunk (excepting the small cogs and faint whiffs of smoke), yet there also may be those who are more accepting of steampunk’s regenerative take within Robotika. 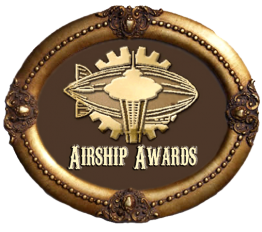 This connotation of steampunk within Robotika relates to this reviewer not the known elements, as they are conventionally set yet rather as being induced through an absorbed system conducted by alternate codes comingled of Eastern and Western beliefs. Certainly there appears to be a cross symbiosis occurring within Robotika that is recognizably closer to grafting known elements from cyberpunk than steampunk, and it is not completely clear if this is a clever twist of Sheikman in pulling on the near categorical concurrency that was occurring in the 1980’s between the two supposed sparring fictional factions. 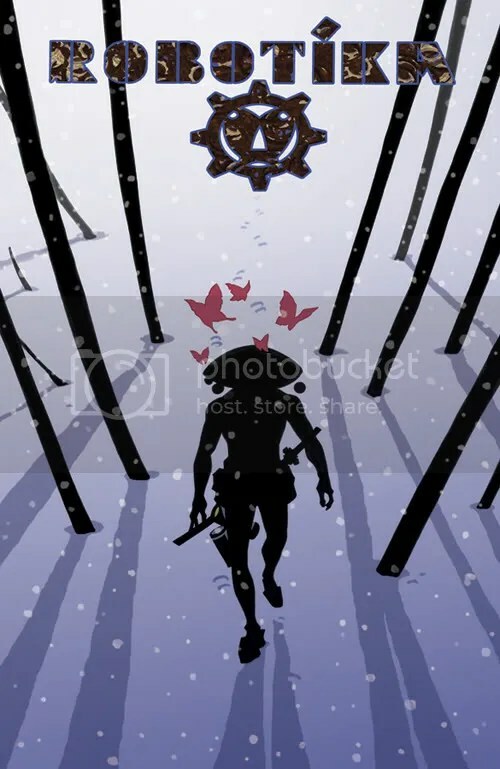 It could just be that Sheikman is relating his own influential comic interplay that is drawn from the multiple genres regularly traversed in his various graphic creations for role-playing games. Some may call Robotika’s uncoordinated concoction a strange soup, sliced up pulp, or a comic mash-up (perhaps graphic goulash?) or as Sheikman has chosen a “samurai steampunk”. The direction that Sheikman more decisively describes in the concluding panels of the first part of Robotika (prior to the shorter back stories) impart to this reader a path of more playful pursuit than poignant reflection will be further wound about this jumbled cast. This reviewer while not disparaging of this jingling accord or lighter tone taken by Sheikman as a comic round up, trusts it will not be too quickly rustled up or carelessly corralled. As with all creative cooks, who require some time for their concoctions to simmer before attaining a exceptional flavor, Sheikman’s comic stew is bubbling about awaiting additionally singular spices or further stirring touches from its creator towards hopefully crafting a truly momentous dish. Sheikman has daringly splashed back into comics with a heady enticement toward his sequential endeavors (that are sumptuously laid out) and though this particular stock of Robitika is far from achieving a memorable peak it is enticing to absorb while awaiting grander portions, perhaps within the second course. 1. 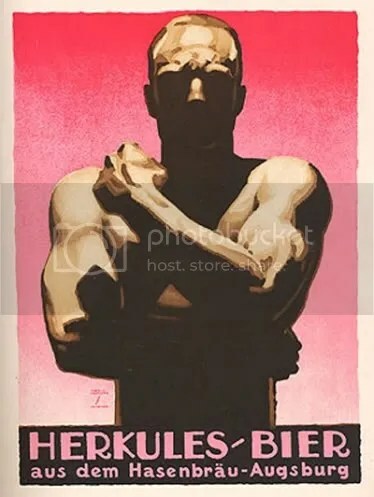 The plural comics is used interchangeably throughout this review with longer compound terms that are informed through the inclusion of graphic or sequential to relate what is commonly called in North America, comic books. This is in part to playfully acknowledge the expansive phrases that have accumulated from the mediums dubious beginnings to its supposed maturity in the 1980’s. Hopefully there is supportive clarity upheld within its exchanged use throughout this review. On the inner dust cover of the collected hardback edition of Robotika, the main protagonist ‘Niko’ is described as a “Steampunk Samuarai”. Alex Sheikman (writer and illustrator) and Joel Chua (colors) (Chicago: Archaia Studio Press, LLC) March, 2009. Sheikman has supported the additional compound description in an overall relation of Robotika in the interview at this link: http://www.pmkane.com/BBP/bd_13_111109.htm (accessed 12/27/10). 2. Sukiyaki Western Django or Sukiyaki Uesutan Jango alternately takes off on the warring Genji and Heike clans that lead to the dominance of samurai precepts in Japan. It further reflects upon iconic representations spun in Akira Kurosawa’s Yojimbo (1961) and Sergio Corbucci’s Django (1966). The Good, The Bad, The Weird (often misaligned with the additional and in the title) has been described as a rousing “gun-fu”, yet the film further extends upon many disputed territorial matters that are form a recurring undercurrent throughout. 3. 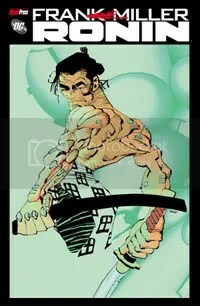 Takashi Okazaki, Afro Samurai or Afuro Samura, originally serialized Sep. 1999 to May 2000 in the manga magazine Nou Nou Hau. 4. Geof Darrow (writer/illustrator), Peter Doherty (Colorist/Letterer), Shaolin Cowboy (Burlyman Entertainment, serialized 2004-present). Yu Yugami, Go West! (English translation, Volume 1, CMX, 2008). Originally serialized in Dengeki Comic Gao! 2002-04. 5. Although the particular era referenced has and continues to be cited as the Edo period it is also specifically related as the Tokugawa period began from Tokugawa Ieyasu, founder of the Tokugawa shogunate who were a military dynasty that ruled from the city of Edo from 1608 to 1868. Akemi Wegmüller (translation and adaptation), “Page 7, Panel 1, Edo Period” in the End Notes within Fumi Yoshinaga’s (story and art), Ôoku: The Inner Cambers, Vol.2 (San Francisco: VIZ Media, LLC, 2009). 6. Moebius, a pen name for artist Jean Giraud, is without a doubt one of the most influential creators in comics working today. He is best known for his successive epic graphic series “Arzach” among other grand sole created comic relations such as “Le Garage Hermétique’”. These flowing sequences are often without any common comic scenario and turn in highly imaginative ways. http://lambiek.net/artists/g/giraud.htm (accessed 12/10/10). 7. Sheikman has responded to his direct purpose of misaligning the character ‘Cherokee Geisha’s’ speech patterns by stating: “When I first conceived of doing Cherokee’s vertical dialogue, I wanted to make a statement about communication and at the same time be a little playful with people’s expectations”. Rob Murray, “For a Few Monkeys More: An Interview Robotika’s Alex Sheikman and David Moran” http://www.comicsbulletin.com/features/120058083043567.htm (accessed 01/12/11). 8. In the section on Robotika in editor Paul Green’s Encyclopedia of Weird Westerns: Supernatural and Science Fiction Elements in Novels, Pulps, Comics, Films, Television and Games (Jefferson, NC: McFarland, 2009) it is related that Sheikman stated: “I grew up in the Soviet Union and as a kid was fascinated by the American Westerns.” p.174. 9. Frank Miller (writer and illustrator), Lynn Varley (colorist), and John Costanza (letterer) Ronin (New York: DC Comics, originally serialized in six single issues, 1983-84). 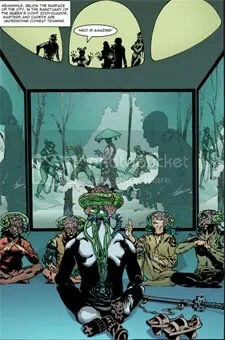 One prior relation that was previously connected is reviewer Dan Wrobel’s recall of Ronin in his response to Robotika, http://comics.ign.com/articles/763/763015p1.html (accessed 12/24/11). 10. Barry Windsor-Smith was originally a British artist who rose to deserved acclaim in North American comics working for Marvel through his intricate illustration on Conan from 1970 to 1973. For more information see http://www.barrywindsor-smith.com/studio/bwsbio4.html (accesssed 12/20/10). 11. 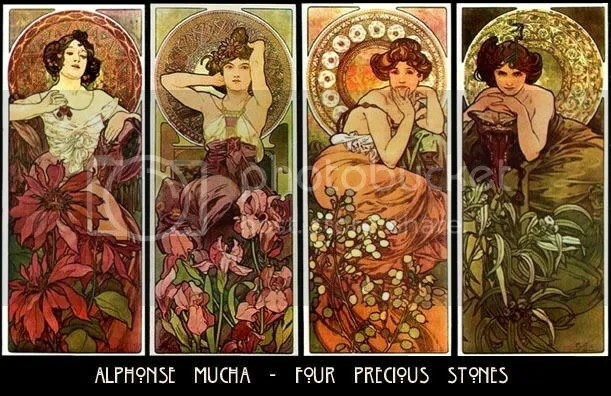 Interview by David Moran in which Alex Sheikman mentions Ludwig Hohlwein and Alphonse Mucha as larger artistic influences. Further information regarding Sheikman was also referenced. http://www.comicbookresources.com/?page=article&id=6987 (accessed 12/12/10). 12. Mike Mignola is the creator of Hellboy, a continuing comic series published by Dark Horse Comics that intentionally intermixes many mythological themes and intentionally defies categorical description. For an extensive background on Mignola and his hellish creation see http://www.notablebiographies.com/news/Li-Ou/Mignola-Mike.html (accessed 01/12/11).